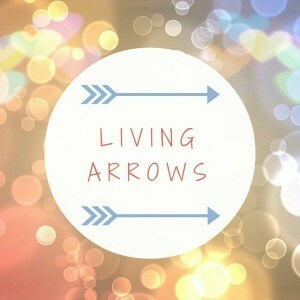 With it being Easter weekend I felt like I really had to go with some Easter themed photos for this week’s Living Arrows post. 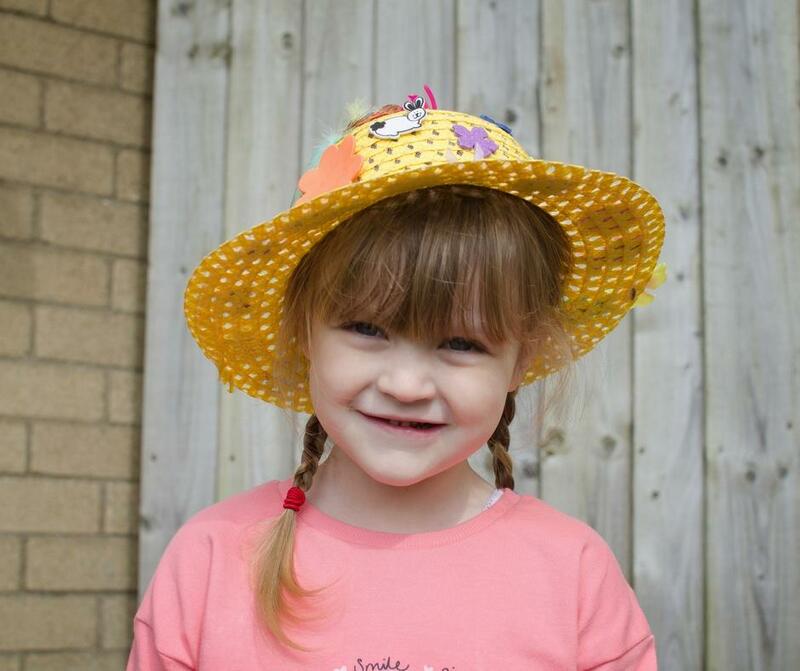 So when we had a break in the rain that has been falling for most of the week I asked the children to pop outside with their Easter bonnets on so I could take a few quick photos. 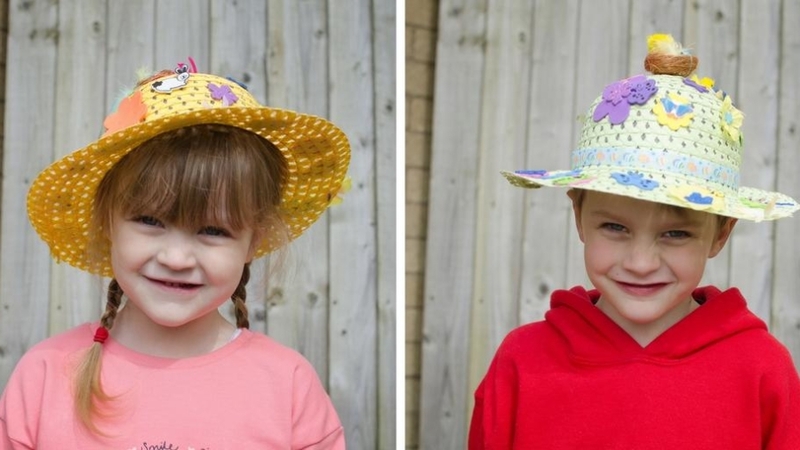 They had made them for the Easter bonnet parades that they do at school, and they were both so pleased with their creations. 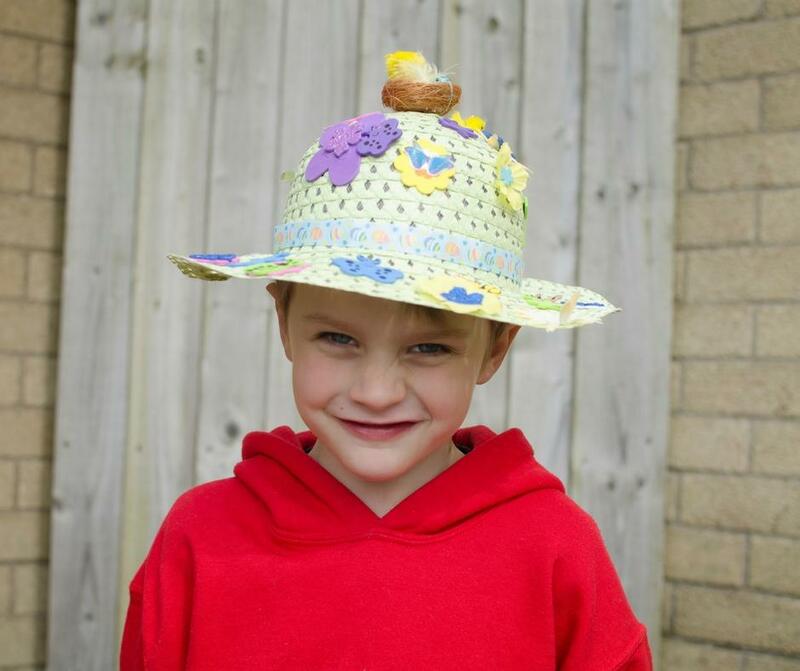 Rhys had made his bonnet pretty minimalist to start with, but the day before his parade he decided to add quite a few more stickers and flowers to it. I’m so pleased he did because it looked so bright and colourful when he had finished! Nerys on the other hand went to town with hers from the start. She had flowers and stickers and feathers and bows all over it, and was so proud of her efforts. Which made it even more of a shame when her parade was rained off. I was really looking forward to seeing her and the other children in her class, there’s something so sweet about seeing the little ones show off their creations. I did get to see Rhys’ parade though which I was really pleased with because it’s the last one he’ll do at his school. He’ll be moving into the Juniors next year and they don’t do parades, which I’m partly sad about and partly happy because it’s one less bonnet to have to worry about organising! Not that I have much input to honest. 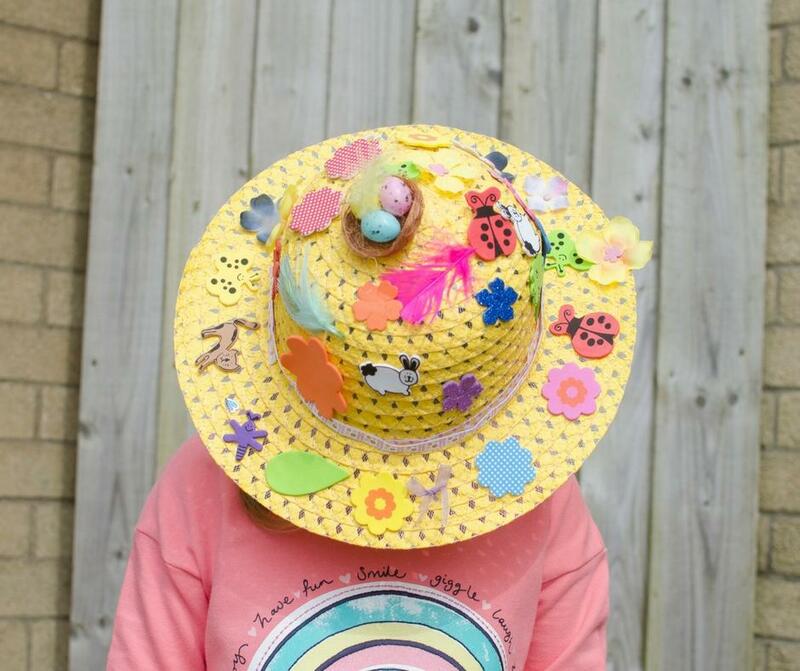 I buy the plain hats and dig out various spring-themed stickers and decorations and let the children pretty much do what they want. 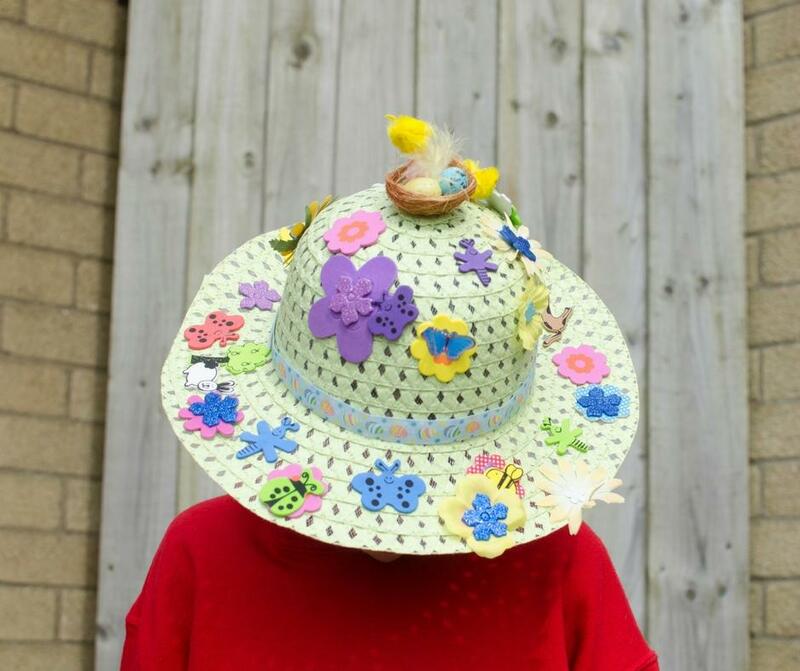 Do you take this approach to Easter bonnets for your children, or do you normally get stuck in and create something for them?